If you would like to link your products to your external blog or site, you will have to embed them. All you have to do is to select the product which you wish to embed and copy and paste the HTML snippet to your blog or website. 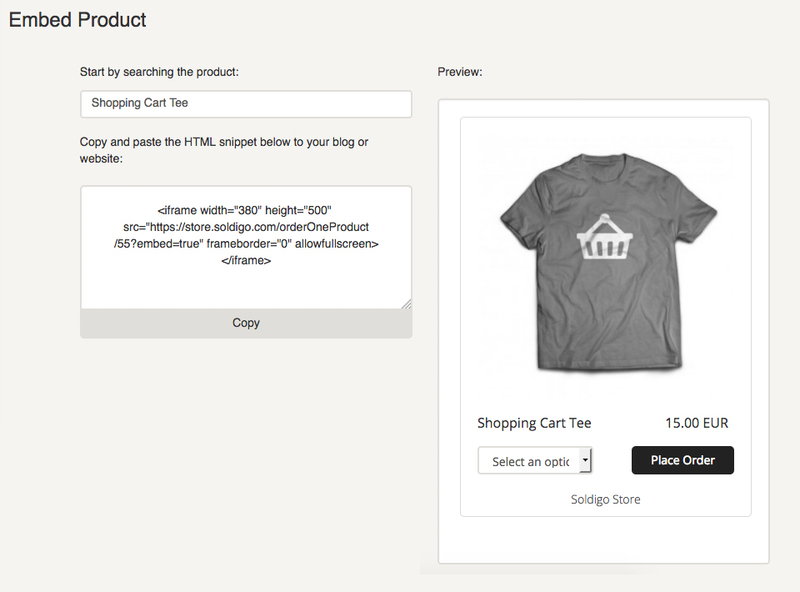 When your visitor clicks on the embedded product, they will be redirected to the checkout page to finalize the purchase. The Embed Product app won’t work with blogs or websites created via WordPress.com since WordPress disabled the usage of iframe tags.